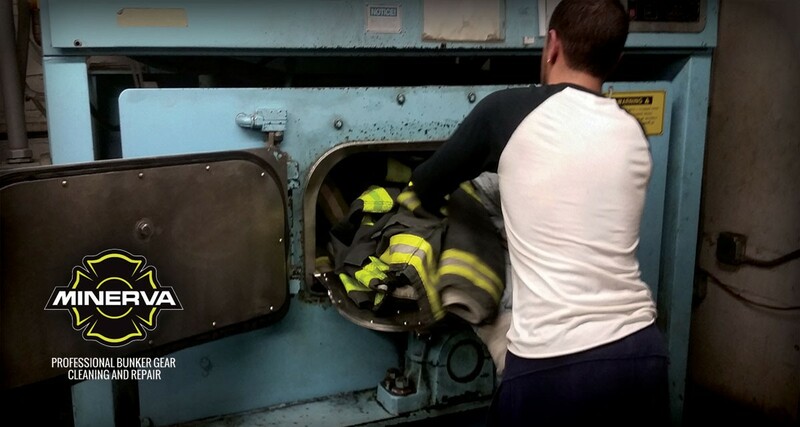 Minerva Bunker Gear Cleaners is taking on more than dirty gear in its efforts to educate and motivate fire departments and firefighters to minimize health risks through regular and intensive cleaning of their bunker gear, especially hoods. The company uses a proprietary line of NFPA-tested and approved cleaners and sanitizers and offers membership programs such as Project Clean Hood that ensure timely cleaning, free delivery and loner or rental gear. When actively engaged in their jobs, firefighters come in contact with a wide range of toxins, chemicals and byproducts from furniture, fabrics, insulation and all materials contained within the burning structure. While they are protected from the immediate dangers such as flames and smoke inhalation, the airborne contaminants cling to gear and go back to the station or even home with them. Minerva Bunker Gear Cleaners is an industry leader in the cleaning and repair of gear for firefighters and other personal protection equipment users since 2000 and is the exclusive service provider for the FDNY. With facilities in New York, Charlotte and Miami, Minerva offers a wide range of services, including cleaning, repair, alterations, loaner and rental gear, free shipping, bag manufacturing, and repair. For more information, visit www.bunkergearcleaning.com.